Hello everyone. Happy Monday. I hope your week has started well. I am loving seeing all my Spring flowers bursting out in the lovely sunshine we've had recently, and this card is inspired by them! And now for the news... have you seen that a new card inspiration and challenge website has opened its doors... although officially it doesn't start until next week, they are hosting a week of blog hops with loads of familiar faces. :) it's called Lily Pad Cards, and it's going to be AWESOME I promise you. Get on over and check it out. There are some AMAING prizes up for grabs!!! Gorgeous, Lucy! Love these bold colors and size! I hope you got my email with my big huge THANK YOU for your generous candy! That was so sweet of you!! Love that flower, Lucy! So beautiful! 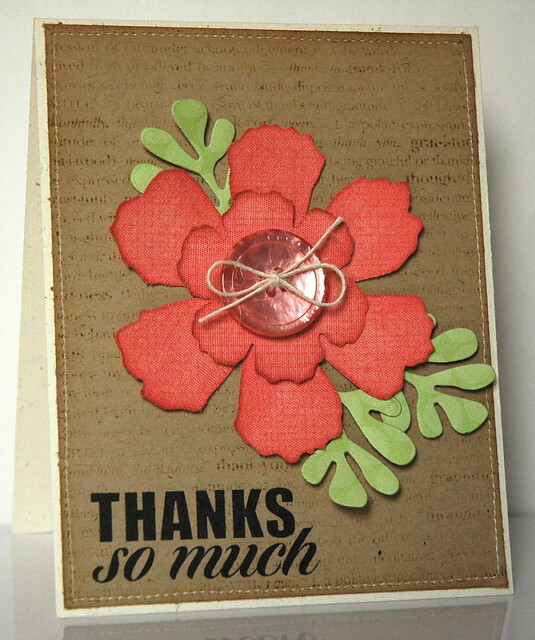 Very pretty flower and card! I'm loving the arrival of Spring, too! Stunning card - that flower looks so dramatic! Lucy, beautiful card - love it. Beautiful card, Lucy! Love the color combo!